A small parcel with two cottages is an unusual acquisition for The 300 Committee, yet the .74-acre lot on Quaker Road in North Falmouth had many special features. 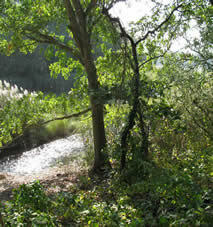 The property has a rich topography that includes upland, coastal bank, floodplain and estuary. It is in a strategic location: it borders Wild Harbor River on two sides and links to a 4.8-acre narrow strip of marshland given to the town in 1988. On the opposite side of Quaker Road is Dam Pond, a Massachusetts Natural Heritage Endangered Species Protection Core Habitat, also owned by the town. 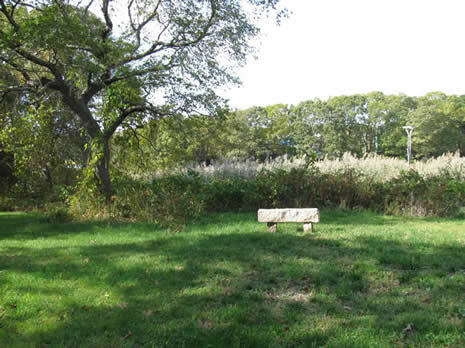 The 300 Committee purchased the Quaker Road Marsh property in the spring of 2007 from Caleb and Martha Fraser after a developer's plan to build a duplex there fell through. The land trust razed the dilapidated cottages, which opened up a view of the marsh from Quaker Road. Stone benches were added and an osprey platform was built and erected at the edge of the marsh by T3C volunteers. At high tide, boaters can launch canoes or kayaks and head out through the marsh to Buzzards Bay. While there is no parking on this property, visitors can park in the small paved lot on the town property next door.